Your skin is actually your largest organ and it has an important role in elimination. 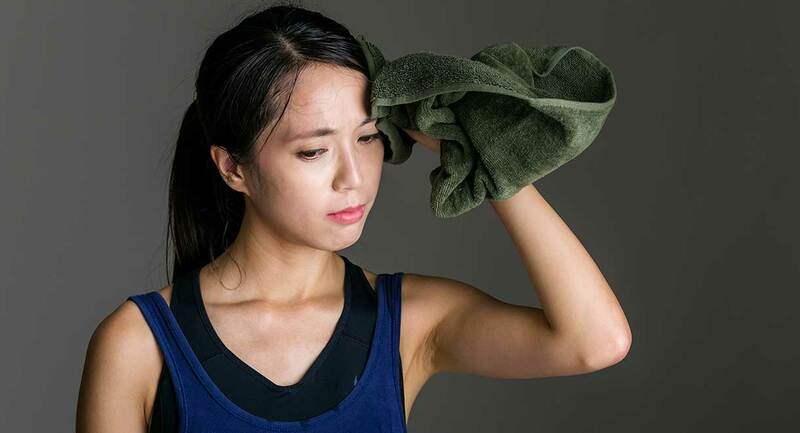 We sweat when we become too hot and it is an effective way to lower our body temperature. Sweating has another important function though; it helps your body to eliminate toxins. You probably know some people who sweat excessively, or who have particularly offensive smelling perspiration; their body is desperately trying to eliminate wastes. "Toxic elements were found to differing degrees in each of blood, urine, and sweat. Serum levels for most metals and metalloids were comparable with those found in other studies in the scientific literature. Many toxic elements appeared to be preferentially excreted through sweat. Presumably stored in tissues, some toxic elements readily identified in the perspiration of some participants were not found in their serum. Induced sweating appears to be a potential method for elimination of many toxic elements from the human body." You don’t need to use a sauna to get a good sweat. Any type of movement that gets you sweating will offer you benefits; this may be going for a jog, mowing the lawn, going out dancing or helping a friend move house. Please remember it is also important to look after the health of your liver and bowel, because if they are working well, you will not need to excrete as many toxins through your skin and you probably won’t sweat as much. The Dr Cabot 15 Day Cleanse is a powerful way to cleanse your liver, heal your gut and make your body more alkaline. Reference: Stephen J Genuis, Detlef Birkholz, Ilia Rodushkin, Sanjay Beesoon. Blood, urine, and sweat (BUS) study: monitoring and elimination of bioaccumulated toxic elements. Arch Environ Contam Toxicol. 2011 Aug ;61(2):344-57. Epub 2010 Nov 6. Can someone with cirrhosis of liver benefit from the 15 day liver cleanse? We believe it would as it improves overall health and function, utilising both supplements and a tasty, easy to prepare dietary regimen. Please go to www.drcabotcleanse.com to place an order. N-Acetyl-Cysteine (NAC 600mg) – 1 to 2 capsules twice daily well away from food, if any upset occurs take at the beginning of your meals. This supplement works well with Livatone Plus to get your liver better faster.